This comprehensive collection of almost 600 traditional and modern songs and hymns expressing praise, worship and devotion proves its enduring relevance and popularity by running to 5 reprinted editions and 300,000 copies. Hymns Old and New is one of the most popular and widely used hymn books that is full of traditional hymns. Hymns Old and New has been reprinted five times and over the years 300,000 copies have been sold. 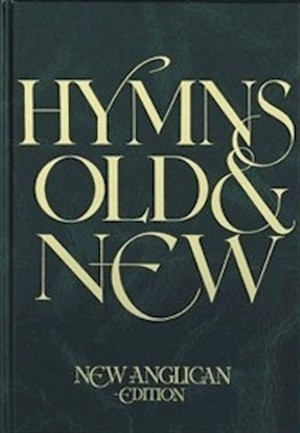 Hymns Old and New is and eclectic collection of standard hymns and newer compositions that reflect the diversity of Christian hymns sung in Church across the world. Hymns Old & New contains nearly 600 fine hymns and worship songs. All the settings are given in easily singable keys and many have alternative tunes. Hymns Old & New contains a multiplicity of indexes designed to make the choosing of hymns as straightforward as possible. Hymns Old and New: Full Music edition: Anglican Edition by Geoffrey Moore was published by Kevin Mayhew in May 1996 and is our 814th best seller. The ISBN for Hymns Old and New: Full Music edition: Anglican Edition is 9780862098063. Be the first to review Hymns Old and New: Full Music edition: Anglican Edition! Got a question? No problem! Just click here to ask us about Hymns Old and New: Full Music edition: Anglican Edition. Is there a CD to go with Hymns Old and New: Full Music edition: Anglican Edition? A:No there is no CD available to go with Hymns Old and New: Full Music edition: Anglican Edition.